So fun!! The family picture is definitely a keeper! Looks like a great time! I've never been horseback riding, would love to try! That is so neat, Deb! Great photos Deb, and what terrific scenery. I'm constantly surprised by what my iPhone can do! I love horses' ears, they seem so funny to me :D (I'm probably weird?!) what a great family photo! All great shots Deb! The first is a great shot of the canyon as it isn't easy to capture the vastness the way you have here. Oh how fun!!! Your pictures are amazing on your phone. 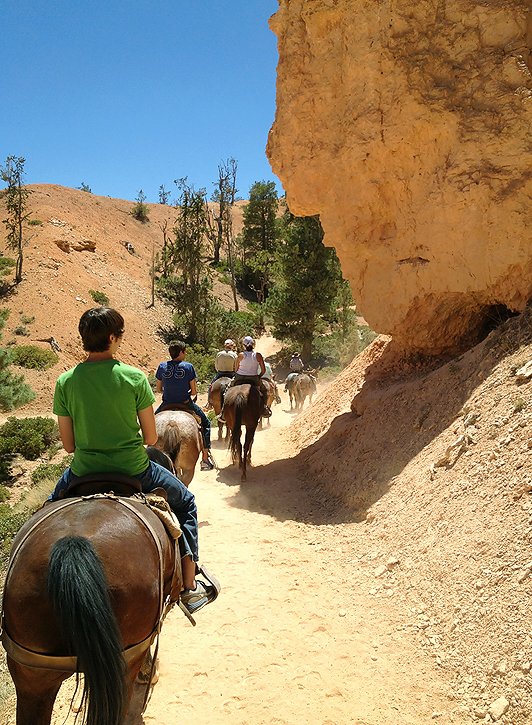 What a fun experience I hope when my kids get older I can take them horse back riding in Bryce Park. I can't believe you captured these photos with an iphone...they are just AMAZING!! SO JEALOUS!! This is definately going on my bucket list. Looks like so much fun deb! When my kids were that age, we went down in the grand canyon on mules. Was a trip that we will never forget. Bet these will look awesome in your scrapbooking project! What a great and small option to use your Iphone! How fun! I don't think I'd take my big camera horseback riding either. Your iPhone took some great shots! I agree,our little cameras really do take good photos. 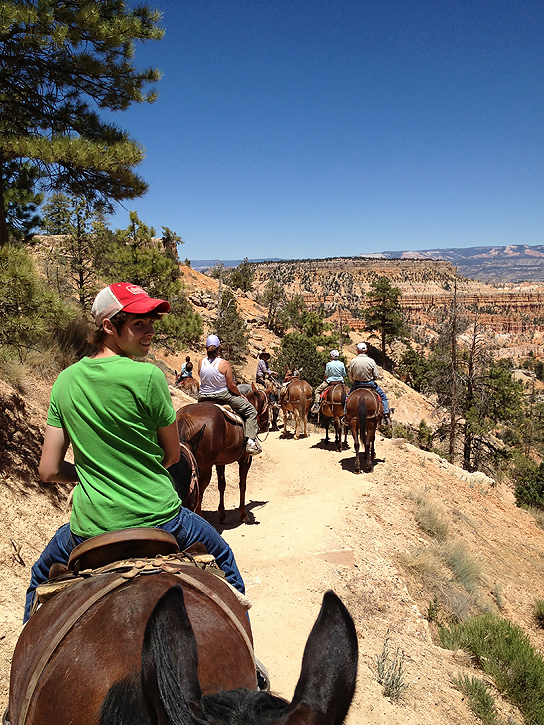 What a fun, I love to horseback ride and with that scenery - wow! That looks like such fun Deb. The scenery is stunning and your pictures are definitely for keeping. The quality of the pictures off your iphone are amazing. These are amazing iphone pics- mine always come out blurred. Looks like a fun ride! I love the strong blue of the sky against the yellow of the land. Wow...what amazing shots!! What lens did you use for these? I've missed you Deb, we need to catch up. It's been crazy over here. I'm sure the same for you. Hey stranger! I have missed you beautiful pictures & these are no exception. It's amazing how great iphone pics are these days. What a fun vacation Deb! 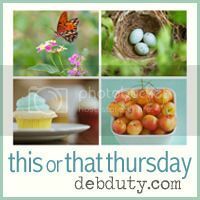 These are great pictures! Definitely inspiring to leave the big camera at home and keep it simple on some of our upcoming summer adventures, thanks! Wow! It looks like you guys had a great time. And your pictures are proof that it's the operator and not the equipment. those are amazing shots - and from your IPHONE!!! Wow. Looks like a wonderful experience :D You have some cute cowboys in your posse too - hee!!!! 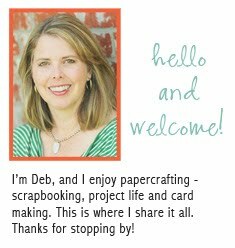 Hi Deb - thanks for hosting. And I'm in awe of your beautiful photos! 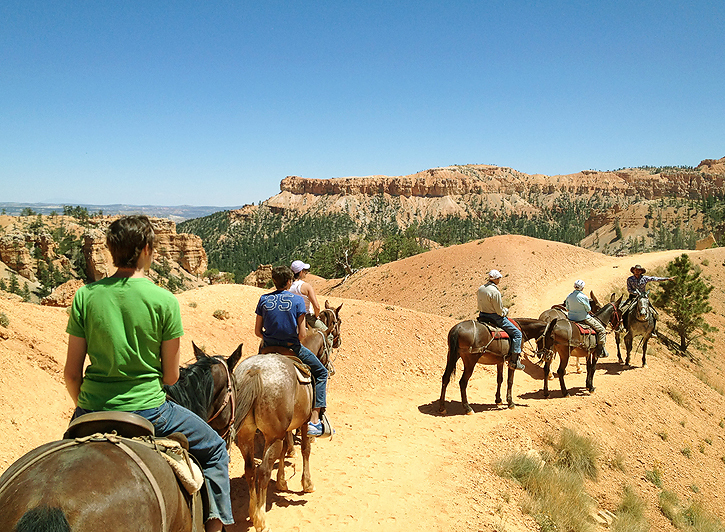 Riding in the Grand Canyon has been on my Bucket List for years - one day, one day. what a great trip and what great memories!! Awesome pictures! We loved visiting Bryce Canyon. Next time we will have to ride horses, I be my kids would love it! Love the vistas. Looks like a great time was had by all. Well now you're making me just plain jealous! ;) What an amazing experience for you all, wonderful memories to cherish. Great family fun shots! AND look at those blue skies! I haven't been on a horse in years and years. These shots are outstanding! That looks like such a great experience- I especially love the one of your whole family! Aren't iPhones amazing?! I am such a fan of Bryce Canyon. 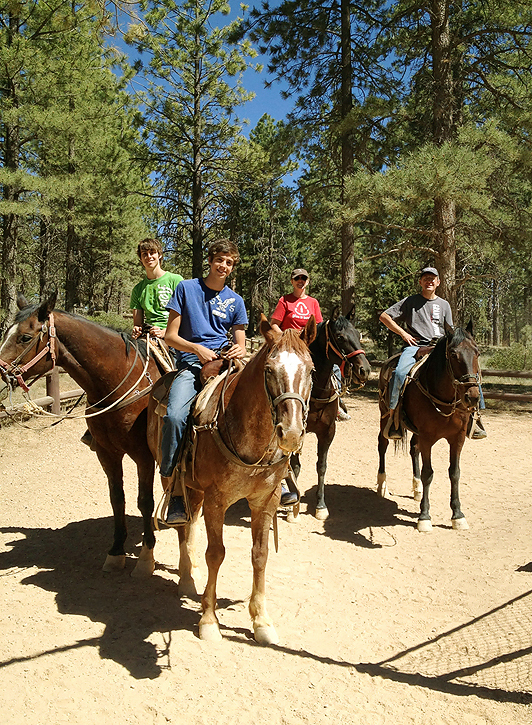 When we were there, we rode the trails, too!